Phenomenology and the Extreme Sport Experience | Free eBooks Download - EBOOKEE! 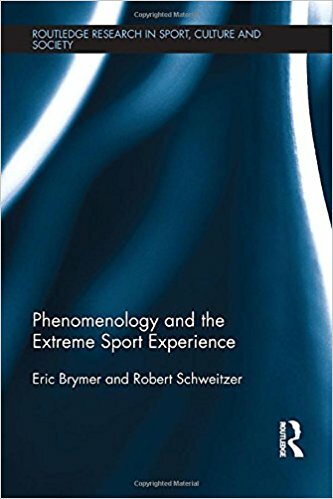 Eric Brymer, "Phenomenology and the Extreme Sport Experience"
Understanding the motivations behind those who partake in extreme sports can be difficult for some. If the popular conception holds that the incentive behind extreme sports participation is entirely to do with risking one's life, then this confusion will continue to exist. However, an in-depth examination of the phenomenology of the extreme sport experience yields a much more complex picture. This book revisits the definition of extreme sports as those activities where a mismanaged mistake or accident would most likely result in death. Extreme sports are not necessarily synonymous with risk and participation may not be about risk-taking. Participants report deep inner transformations that influence world views and meaningfulness, feelings of coming home and authentic integration as well as a freedom beyond the everyday. Phenomenologically, these experiences have been interpreted as transcendent of time, other, space and body. Extreme sport participation therefore points to a more potent, life-enhancing endeavour worthy of further investigation. This book adopts a broad hermeneutic phenomenological approach to critique the assumed relationship to risk-taking, the death wish and the concept of "No Fear" in extreme sports, and repositions the experience in a previously unexplored manner. This is valuable reading for students and academics interested in Sports Psychology, Social Psychology, Health Psychology, Tourism, Leisure Studies and the practical applications of phenomenology. No comments for "Phenomenology and the Extreme Sport Experience".